A lot of Nigerians rarely drink enough water these days. I don’t know about you if you drink a lot of water on a daily basis. Infact, some people even believe that if you drink too much of water, it will make you gain weight and make your stomach big as well. Maybe you have the same type of belief yourself. In fact, if you are on a weight loss journey or trying to lose weight, you really should increase the amount of water you drink on a daily basis. You see, water contains NO calories whatsoever. So it does not contribute to weight gain in anyway. Just In case you don’t know, water is your body’s principal constituent, about 60% of your body is actually made of water. So, whether you like it or not, your body needs water to survive and to lose weight. 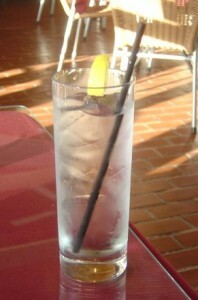 Unfortunately, a lot of people prefer to drink their Liquid in the form of beer, soft drinks, tea. The problem with this is that, all these drinks have been sweetened with large amount of sugar. For example, A bottle of soft drink e.g coke has been proven to contain between 6 – 8 cubes of sugar! and you know that excess SUGAR in the body is the main reason why we get FAT! So, if you currently drink your sugar in form of soft drinks, you need to reduce it to the barest minimum or STOP altogether. 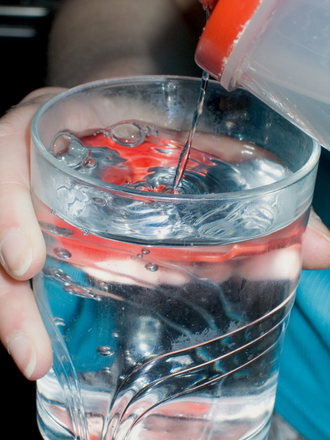 Can you gain weight by drinking too much of water? NO! Can you become fats by drinking too much of water? NO! Will you belly get BIG from drinking water? The answer is NO! Yes, your belly may be slightly bigger from drinking, but this is temporary as your belly will go back to it’s original size once your body processes the water usually within 2-3 hours. According to the Institute of Medicine, Every day you should aim to drink up to 13 glass cup of water per day if you are a man and at least 9 cups of water if you are a woman. If you are currently not used to drinking this much water, it will take a bit of getting used to. But here’s exactly how you can try to drink as much water as stated above…. Drink 1 cup of water when you wake up from bed every day i.e before eating anything, as it helps in body cleansing and purification. Drink 2 cup of water during breakfast, take 5-7cups between afternoon (12p.m) and 6p.m in the evening because that’s when your body get dehydrated most and you will need enough water to replenish it. Finally, drink just a cup of water during dinner, to avoid constant bathroom trip in the night. equivalent to zero calorie and your body will even diffuse that excess water through urine, sweat and other body metabolism. What If You Are Tired Of Drinking Just Water? You can actually flavor your water with natural fruit, incase you are bored of drinking water alone. It is very simple to make slight improvement to the taste of your water. Finally, I hope you have learnt something about water today, and you will include this in your weight loss routine.